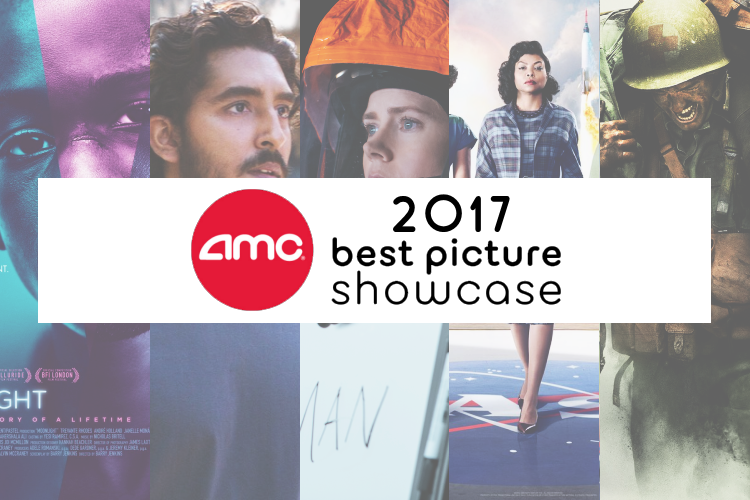 Just in time for the Oscars, AMC Theaters holds a back-to-back marathon of the movies nominated for Best Picture. Given the option, movie buffs can see the nominees in a 24-hour marathon or over two weekends. This is a special event my sister and I have loved participating for the past seven years! We typically attend both weekends, but having previously seen three of the four nominees - Manchester by the Sea, Fences, Hell or High Water, La La Land - we opted to attend this past weekend's event which included Moonlight, Lion, Arrival, Hidden Figures, and Hacksaw Ridge. These are my quick thoughts on what I saw with perhaps fuller reviews to come in the future. Check out my faves at the bottom and feel free to share yours in the comments below! Director and writer Barry Jenkins adapts In Moonlight Black Boys Look Blue by Tarell Alvin McCraney, by chronicling the life of Chiron, a shy kid struggling to come to terms with his identity and sexuality. Throughout three acts, the journey is a tumultuous coming-of-age ride where love and acceptance have the power to set us free or hold us back. Spanning fifteen years from childhood to adulthood, Jenkins illustrates a timeless story of a young person deciding who they are against a dizzying, gruff, bold world of isolation, yearning to be accepted, wonder, and unexpected kindness. Intimately and with a big spirit, the movie glides across the various facets of parents, mentors, and peers of how a community influences us through nature and nurture. With a cast delivering powerfully vulnerable performances, visually stunning production, and impeccable script, Moonlight absolutely glows. Based on the book A Long Way Home, five-year-old Saroo ends up stranded and trapped on a train that takes him from his home of Ganesh Talai to Calcutta. Unable to speak Bengali, and believed to be one of the thousands permanently lost or abandoned children, he soon becomes a ward of the state, adopted and sent to live with a couple in Australia, where he grows up and tries to find his real family. While the script becomes a bit repetitive during Saroo's story, the cast including the impeccable Dev Patel and Nicole Kidman, beautiful cinematography, and the journey is all worth it. Lion is an incredible emotional rollercoaster, weaving a story that makes your heart roar in sadness, joy, and hope. How brutal and bloody is war really like? Director Mel Gibson puts audiences to the test with this incredible true story of a WWII American Army Medic and Pacifist Desmond T. Doss who became the first person to receive the Medal of Honor without firing a shot. Despite the incredible conviction of the movies' hero, the violent nature of Hacksaw Ridge borders between being faithful to history's bloodshed and replicating the one-sided interaction of video games, where participants become usurped by the gore and made to feel as if they were on the battlefield without leaving the comfort of the movie theater or couch. In the interim, the production is much like many other war films set either in World War II in tone and perspective (okay dialogue, harrowing score, valor is put to the test), except this one's only memorable scenes are where soldiers mercilessly kill or are killed. I already saw this in theaters late last year and it did not disappoint seeing it again. It's the type of science-fiction movie that you can watch again and again and see new details you may have missed before, feel the impact of its superb twist, and enjoy Amy Adams' decadent performance. History didn't intend for us to know of Dorothy Vaughn, Katharine Johnson, Mary Jackson, and countless other white and African-American women behind the space age, but hard-work, talent, and resilience doesn't have to exist in the shadows forever. Brought to the attention by Margot Lee Shetterly, her vivid, rich biography of these legends is an absolute must-read. As with every biopic, changed details are expected, but unfortunately, the movie doesn't quite live up to the journey the author offers for me. So those are my takeaways of five nominees of the nine. It's interesting, every year, how Oscars Best Pictures always fall into 3 categories for me: way too hyped, is good enough to see once, will stand the test of time. If I had to rank 2017 Oscars Best Pictures, they'd be: way too hyped (Hacksaw Ridge, Hell or High Water, Manchester by the Sea), is good enough to see once (La La Land, Hidden Figures, Lion), will stand the test of time (Moonlight, Fences, Arrival). The last three (and Lion) are my definite faves. Who are you rooting for at the Oscars? Feel free to share in the comments below! Hope you enjoy the show tonight!